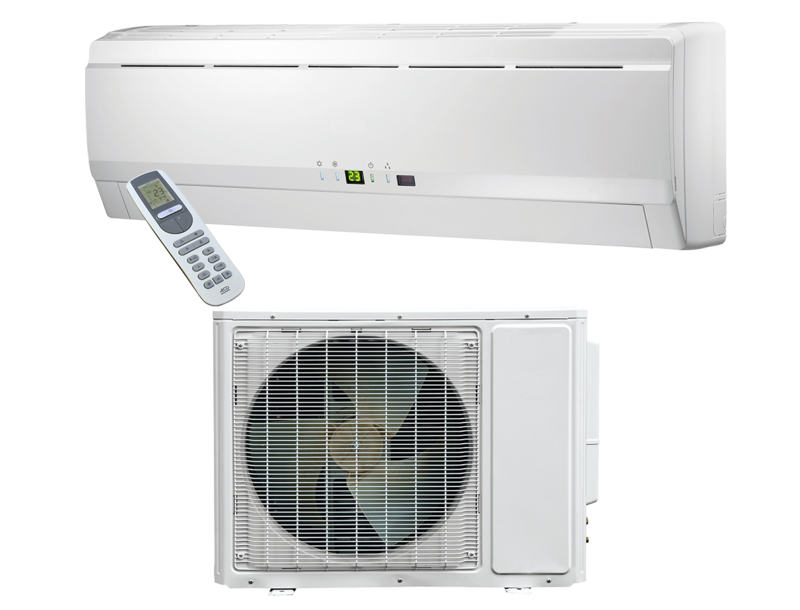 Ductless wall-mounted heat pumps, commonly known as “mini split” heat pumps, do not need air ducts like central systems. The outdoor unit (condenser) and the indoor unit (evaporator) are connected by refrigerant piping and electrical wires that pass through a small 3″ opening in the wall. Can be controlled individually and adapted to each room where they are located, thereby optimizing comfort while reducing energy consumption. Perfect for retrofits where it’s impossible or very expensive to install air ducts in existing ceilings and walls. 4 Way Air Outlet: Maximise home comfort with the louver that can be adjusted vertically and horizontally. Auto Clean: After powering off, the fan stays operational until the inside of the indoor unit is dry for your unit to stay clean and healthy. Quiet : Minimization of vibrations and noise level of the outside unit with its variable speed fan. I Feel Option: The air flow and set temperature of the indoor unit are adjusted accordingly to the mini sensor in the remote, in order to obtain an optimal comfort level. High efficiency : Cutting-edge electronics for precise motor control and high efficiency electronic expansion valves for precise refrigerant flow. Intelligent Defrost: The defrosting is performed only when needed, thus reducing energy waste by eliminating unnecessary defrost.